Step 2 Puree 1 cup of flesh to make juice. Add the paprika, ground red pepper, turmeric, coriander, garlic and salt to taste. Step 3Heat the oil in a skillet over high heat and fry the cumin seeds 20 seconds. Immediately add the juice. Lower the heat and simmer until the liquid is reduced by one-third, about 5 minutes. Step 4Add the lime juice and sugar to taste. Cook 1 minute. Add the watermelon pieces and cook over low heat 3 to 4 minutes, tossing to coat until heated through. In Recipes-list.com we have selected the most viewed recipes from category - Appetizers Desserts Sides Vegetarian . Enjoy the best recipes specially selected for you! 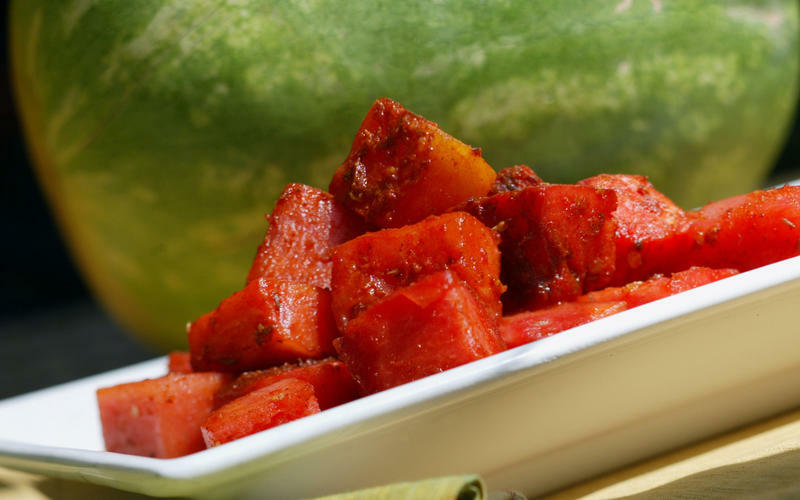 Watermelon curry (matira) is the right choice that will satisfy all your claims.